Why do some people respond more strongly to placebo? Imagine if a sugar pill worked as well as an opiate for you. Popping a sugar pill has become a fundamental part of just about any clinical trial testing new drugs - but not all people are equally susceptible to being tricked into feeling better. A new study could help us understand why, finding a match between certain neurological features and susceptibility to the placebo effect. Scientists from Northwestern Medicine invited 63 volunteers suffering chronic back pain to take part in an experiment aimed at discovering why some of us feel better merely engaging in a medical ritual like swallowing an inert tablet-shaped block of sugar. The phenomenon of the placebo has been the subject of intense study for a little over a century, though it has its roots in a rather unlikely place – the Catholic Church. Centuries ago, officials would provide fake relics to individuals claiming to run exorcisms. By the 19th century the concept had become popular among physicians, where harmless substances were given to patients just to please them. It's from the Latin 'to please' we get the word placebo, and by the middle of the 20th century clinical trials were relying on the concept for much the same reason Catholic authorities were in the 16th century – to sort random physiological improvements from the real deal. Today we know not to underestimate the power of the placebo. Engaging in a medical practice of any sort – from swallowing empty calories to undergoing sham surgery – can convince some people that their suffering has eased. Stranger still, this therapeutic action doesn't even depend on trickery. Subjects can be told their treatment has zero medicinal value and it can still make them feel better. For all we do know about the placebo effect, we still don't fully understand what causes it, and that's partially because it's so inconsistent. One possibility is that the effect arises from our ability to take past experiences and use them to build expectation for future ones. Taking cues from past medical rituals, the brain creates a framework for interpreting pain stimuli. While numerous attempts have been made to link the placebo effect with neurological functions, few take into account the past experience of the volunteer in their methods. This is vital for chronic pain sufferers, who have unique experiences that could affect the way they respond to placebos. The studies that do take this into account, rarely compare results with a control group that has no treatment, meaning there is no baseline to tell whether changes in pain intensity were placebo related or not. To address this, the researchers divided their sample of back pain sufferers into two groups. One got either a secret placebo or heavy duty pain medication. The other got nothing, and served as that all-important control group. 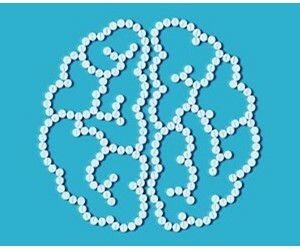 Magnetic resonance imaging scans revealed that there were key differences in the brains of chronic pain sufferers who respond well to placebos. "Their brain is already tuned to respond," says the study's senior author A. Vania Apkarian from Northwestern University Feinberg School of Medicine. "They have the appropriate psychology and biology that puts them in a cognitive state that as soon as you say, 'this may make your pain better,' their pain gets better." Specifically, those brain differences include an increase in the emotional centres' volume in the right hemisphere, thicker sensorimotor areas, and differences in the way the prefrontal region and anterior cingulate communicate. Combined, these areas perform functions that help us analyse and predict our environment and make informed decisions that could have an emotional impact. Surveys that evaluated the volunteers' psychological traits also suggested being sensitive to pain and aware of your physical and emotional states were good predictors for being susceptible to placebos. Having effective tools for predicting who might benefit from being prescribed a placebo – with their informed consent – would be a significant advantage. "It's much better to give someone a non-active drug rather than an active drug and get the same result," says Apkarian. It could also help researchers fine-tune clinical trials by excluding individuals who could mess up results through the placebo effect. We still have a long way to go in our understanding of how the placebo effect works its magic. But anything that ethically eases suffering without risky side-effects is well worth investigating.